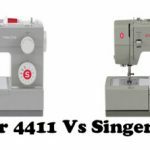 Singer Futura CE-100 is pretty outdated. There are several software compatibility issues. You will be better of going with a newer machine. 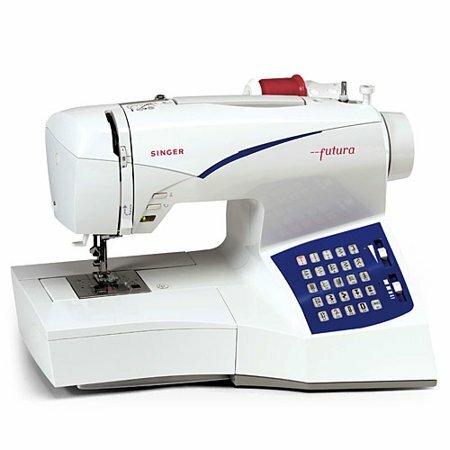 Futura CE-100 is an entry level sewing and embroidery combo machine. The machine has been in the market for a while now, but it didn’t make enough impact as Singer would have liked. Competitors had better answers. The machine looks dated now. 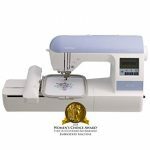 The sewing features of CE-100 includes 22 built-in stitches and 80 stitch functions. Two 1-step buttonholes are also included in the stitches. The automatic needle threader saves eye strain. The programmable needle up/down button is handy while pivoting and quilting. Another useful feature is the optimum power control which delivers extra power while sewing thick fabrics. The top drop-in bobbin with clear cover is very useful as you can keep an eye on the thread supply. You can select the stitch patterns by just the touch of a button. Mirror imaging is also possible on this machine. You can always use the drop feed option to do free-motion quilting or monogramming. The embroidery features of Futura CE-100 include 60 built-in designs. There is another bonus embroidery package CD that includes another 60 designs. Two hoops are available with this machine. One is the large 4 1/2″x6 3/4″ hoop and the small 3 1/8″x4 3/4″ hoop. The embroidery area is enough for most home embroidery works. To cut the costs, Singer has eliminated the LCD screen on this machine, which means you will have to rely on a computer or laptop for all the editing works. This can work both ways. The good thing is that, you can view everything on the large screen of your laptop instead of a small LCD screen. The bad thing is that, you need your laptop to be connected to the machine all the time. 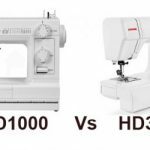 Futura CE-100 can work on its own as a sewing machine, but if you want to use the embroidery features, you need a computer. Instead of becoming a blessing, the whole computer-machine connection has become a nuisance to me, which I will discuss in the limitations section. Singer Futura CE-100 has 2 built-in fonts for basic monogramming works. You can download embroidery designs from the internet as well. It supports all popular embroidery file formats. Another handy feature is the realistic view of the designs you are about to work on. This is much like a ‘Print Preview’ that you get on your printer interface. First of all, the instruction manual needs a lot of improvement. Futura CE-100 is not the easiest machine to set up. You need to have a reasonable computer knowledge to get it running. I would have liked the machine to embroider at a faster pace. For now, it is a bit on the slower side. However, the designs look good once finished. The machine reads most of the embroidery file formats. Most downloaded files worked without any issue. Unavailability of accessories specific to this machine is an issue. Even though the machine is Windows 98 and up compatible, you need to purchase an upgrade software separately to make it work with newer versions of Windows. You need to spend a lot of money for the upgrade software. Even worse thing is that, there is no Windows 8 update yet (currently we are running in Windows 10 era right?). Another huge bummer is that, the software won’t work with Mac computers. All are deal breakers for sure. Cracking bobbin case is another issue reported by several users. I really loved the large embroidery area of Singer Futura CE-100. It was available at an unbeatable price as well. But the machine now is so outdated that it won’t even run on newer operating systems. I can’t quite recommend this machine to you. 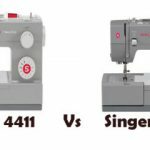 If you are looking for an embroidery machine, currently the best entry level embroidery machine from Singer is the Singer 10 which has 55 built-in designs, 5.5″x5.5″ and 2″x2″ hoops, 3 lettering fonts etc. It is a recently released model and has good feedback. 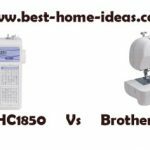 If you are looking for a sewing and embroidery combo machine, there is none better than Brother SE400. It is an absolute stunner, but the embroidery area is small (4″x4″).